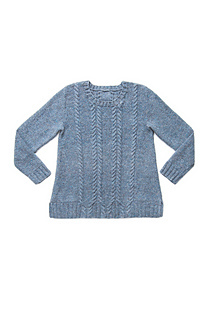 This timeless cabled pullover features a gentle A-line shape with trimly tailored shoulders. 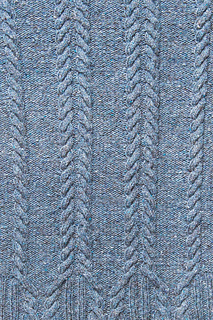 Bell’s ground of reverse stockinette highlights cables that sprout from the ribbing at the split hem in a subtle but effective detail. 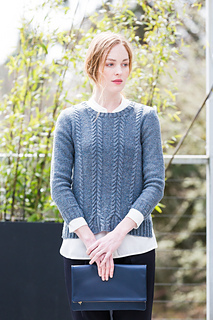 The back, front, and bracelet-length sleeves are worked flat; stitches for the ribbed crew neck are picked up after assembly. The weightless fabric and flattering shape make Bell the perfect choice for transitional seasons. 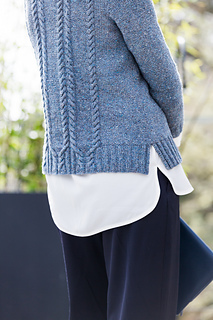 Choose a color of Loft that will complement your whole wardrobe so you can wear this classic sweater with everything.